At Paul Decelles Financial Strategies we are convinced that a financial planning process must preceed the delivery of investment advice. As a CFP®, Paul has the professional obligation to learn as much as possible about a clients’ financial situation before offering advice. He believes that financial plan preparation at the beginning of the client/planner relationship meets that obligation thoroughly. 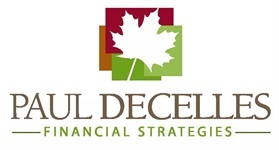 We think it is so important that we recently changed the name of our company to Paul Decelles Financial Strategies. We wanted our name to emphasize financial planning strategies. Managing our client's investment portfolios remains a huge part of our business. We think that we do a much better job with client portfolio management by using strategies we develop by drafting comprehensive financial plans for their households.